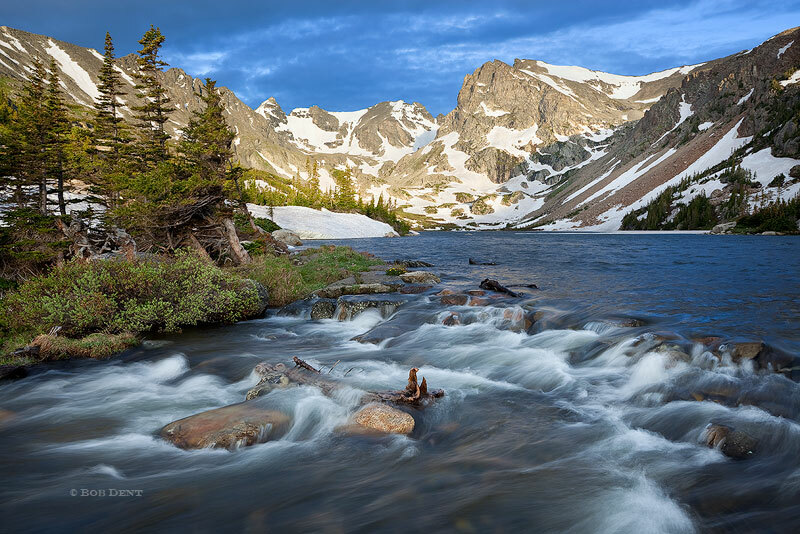 This spring season in Colorado has been marked by tremendous precipitation. The lakes in the mountains are quite full, making for some fantastic photographic opportunities. 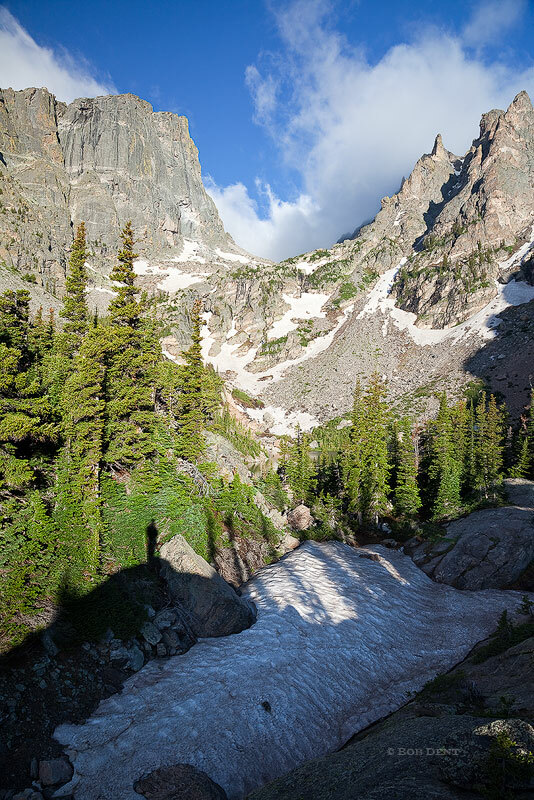 The following are a small sampling of the beautiful conditions in Colorado's high country. 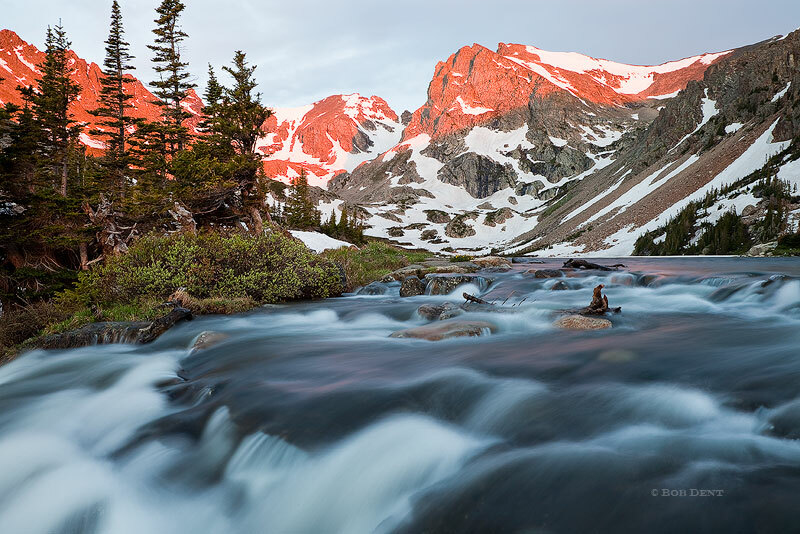 Sunrise casts warm colors over Lake Isabelle, Indian Peaks Wilderness, Colorado. Photo © copyright by Bob Dent. 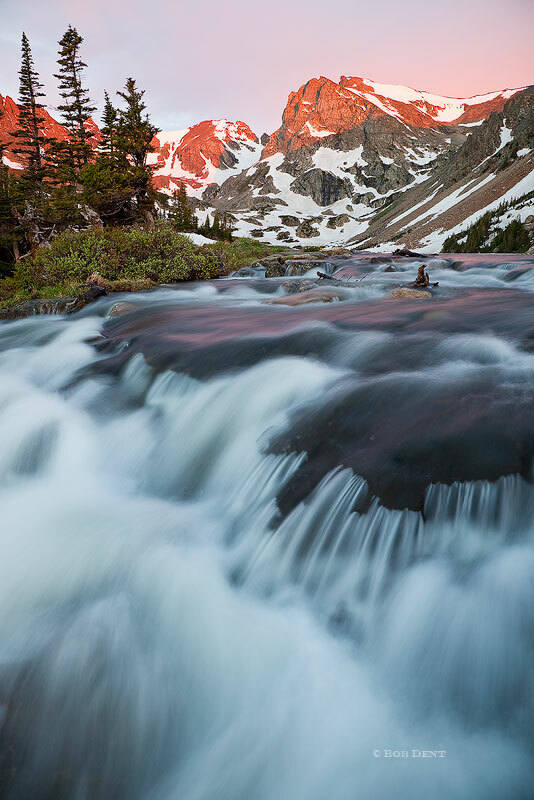 Sunrise colors over Lake Isabelle, Indian Peaks Wilderness, Colorado. Photo © copyright by Bob Dent. Sunrise over Lake Isabelle, Indian Peaks Wilderness, Colorado. Photo © copyright by Bob Dent. A self portrait of sorts. Near Emerald Lake, Rocky Mountain National Park, Colorado. Photo © copyright by Bob Dent.